We’d like to think a stork magically appears and drops off new bellyaks to people all over the world. Or that they sustainably grow out of bellyak seeds. Unfortunately, neither of these options are feasible for mass production. 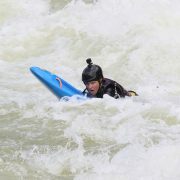 Instead, the bellyaks are rotationally molded at BIG Adventures in Fletcher NC. Rotomolding is as much of an art as it is a science. Two people can make the same cake recipe, but Grandma’s will come out much better, because of EXPERIENCE. 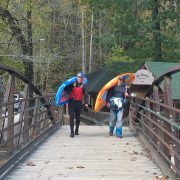 This is why we partner with BIG Adventures: they have years of experience in molding plastic kayaks. 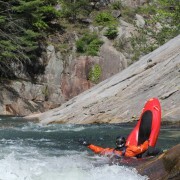 This is the team that makes Liquid Logic Kayaks and Native Watercraft. 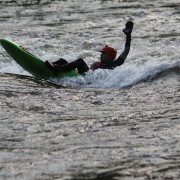 In fact, we use the exact same polyethylene powder formulation used in all Liquid Logic whitewater boats. This means bellyaks are incredibly durable and will basically last you forever. And ever. The molds are cast aluminum, only made after many iterations of the product have been done. To read more about the development process ‘click here’. Before a model goes into production, the mold is attached to the arm of the oven and goes through several cycles to measure plastic thickness. They also dial in the ‘shot weight’ – or appropriate amount of powder – to find the optimum balance between thickness and keeping it as light as possible. 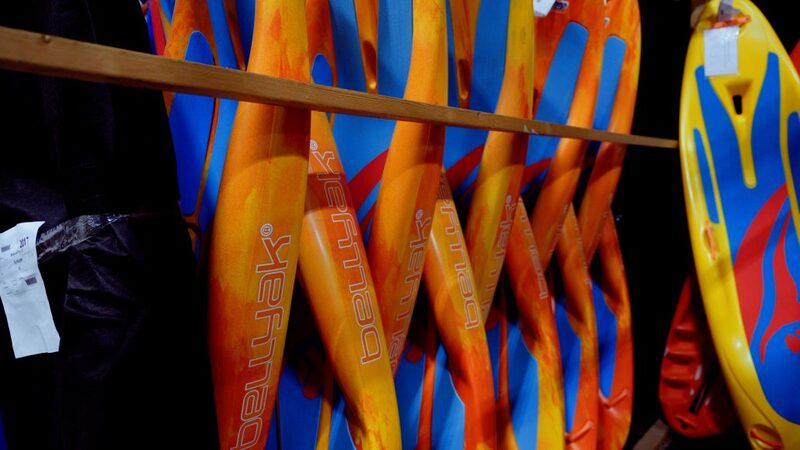 From here, we develop a specific recipe for each bellyak insuring consistency and quality molding. Our graphics are applied in mold, becoming part of the boat as they ‘cook’ into the plastic. Brass inserts are applied for handle attachments, and then pre-measured polyethylene powder is placed in the mold. At this point the two halves of the molds are clamped shut. The mold moves into the cooking chamber to cook at 525 f for 14 minutes. This is where the magic happens. As the mold heats it is rotated on two axes (rotation dialed in specifically for each model). 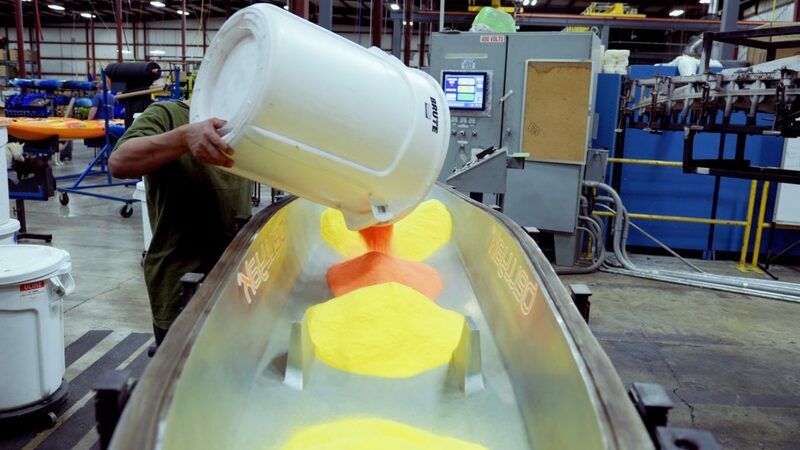 The powder liquifies and coats the inside of the mold as it rotates. After this it is moved into a cooling chamber where the mold continues to spin as the temperature is brought down in a controlled environment. 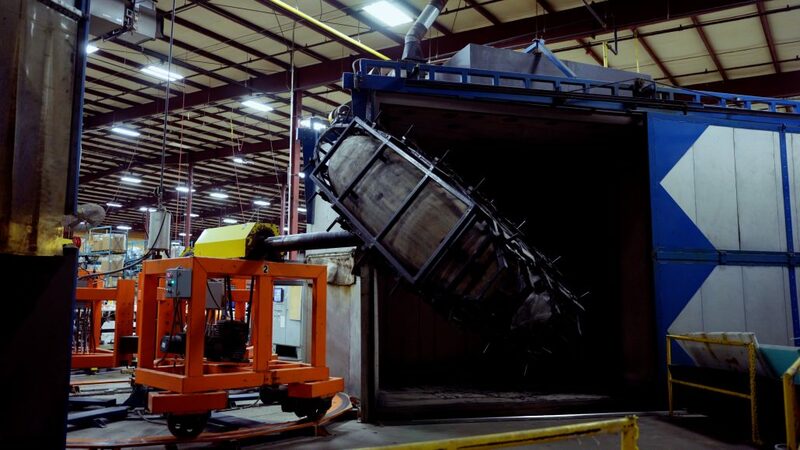 While the boat is still warm, but not hot, it is removed from the mold and placed in a cooling fixture. At this point the excess plastic is trimmed and the whole bellyak is flamed with a heat gun to give it a super glossy finish. 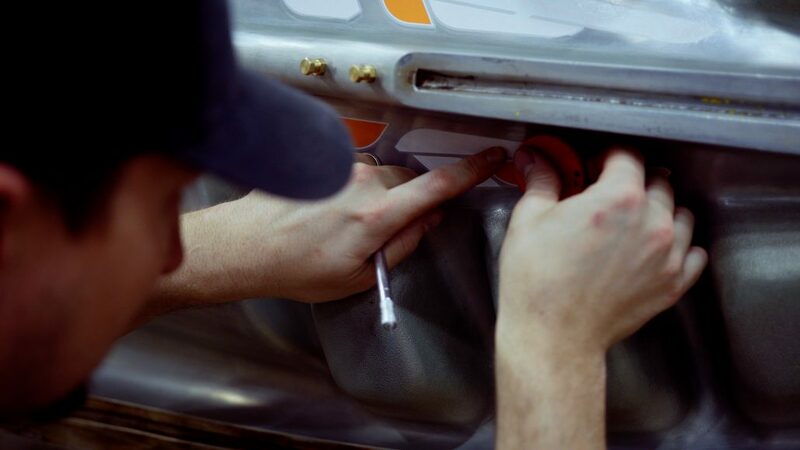 Handles, hatch, skeg, pad are all installed, and the bellyak goes through a final inspection process before being placed in the rack. Once an order is placed, the boat is bagged in a heavy felt bag and shipped anywhere in the world! 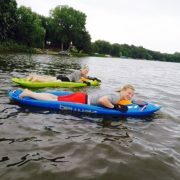 It is delivered to you for prone paddling awesomeness wherever you are! Don’t like to read? Us neither. Just watch this video instead!